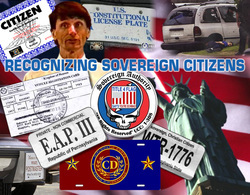 The Sovereign Citizen Movement is a unique subset of domestic extremism as its adherents generally reject the authority of the United States Government and although they know the government exists; Sovereign Citizens believe that they have found obscure legal ways to be immune from its various laws. The Federal Bureau of Investigation considers Sovereign Citizens to be a “Growing Threat to Law Enforcement.” While most Sovereign Citizens are nonviolent, some Sovereign Citizens believe that violence is necessary to defend against what they perceive to be an illegitimate government. This 2 hour presentation will provide vital information about this growing movement by discussing the most common conspiracy theories behind their ideology as well as the most common practices and tactics of the Sovereign Citizen. It is intended to heighten awareness of the threat for law enforcement and public safety professionals as they may encounter these individuals during the course of their duties. Increase the student’s knowledge and understanding about the ideology behind the Sovereign Citizen Movement. Present common tactics and techniques utilized by Sovereign Citizens and their involvement in criminal activities. Understanding of the “Red Flags” or warning signs that a person may follow the concepts of the Sovereign Citizen Movement. Safety considerations and tips on how to handle encounters with Sovereign Citizens. Earn your "Sovereign Citizen Movement" Certificate from The Gang Enforcement Company's National Gang Enforcement Academy; today!